Are you looking to buy the most affordable, sophisticated and modish tiles for your space? If yes, then luckily, you have found us and now you don’t need to go somewhere else. Westside Tile and Stone has been the leading tile service provider in the market for over successful 13 years. We are delivering businesses and homes with the best collection of tile materials and with the latest trends. At our tile store, you can find selection of kitchen tile flooring, modern tile patterns, spacious look bathroom wall tiles, slabs, coloured and neutral backsplashes and natural look stone tiles to make your space more spacious and eye-catchy. We carry unique, elegant and attractive and all are offered at the most affordable prices. 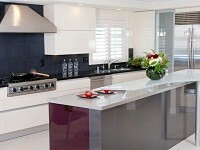 You can check our vast collection of tiles at our tile showroom. There are many reasons to choose our services but what has kept us in this business for all those years is our commitment to passion, low prices, and fantastic customer service. The designers and experts at our tile store Hidden Hills, CA are also well-trained about the different tastes, ideas and the requirements of the space. We have the selection of wall and floor tiles for various applications of your space and for that purpose, we carry unique with latest trend tile materials from natural ceramic to durable marble to elegant glass tiles. 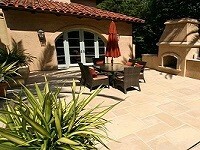 So, all you need is to give us a call and get the most competitive pricing by our Tile Store in Hidden Hills, CA. When you are renovating or remodelling your commercial or residential space, we offer huge collection of trendy Limestone Tiles, Marble Tiles, Sandstone Tiles, Travertine Tiles, Granite Tiles, Slate Tiles, Saltillo Tiles, Arabesque tiles and Beveled Tiles to serve in the greater Los Angeles and surroundings.